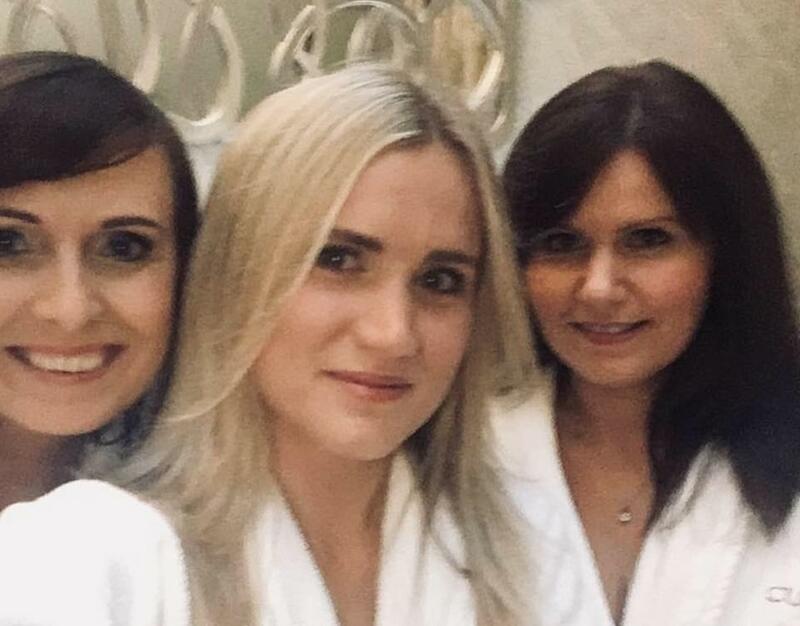 A bride-to-be who drowned during a friend’s hen party in Ireland has been buried in the wedding dress that she never got to wear. 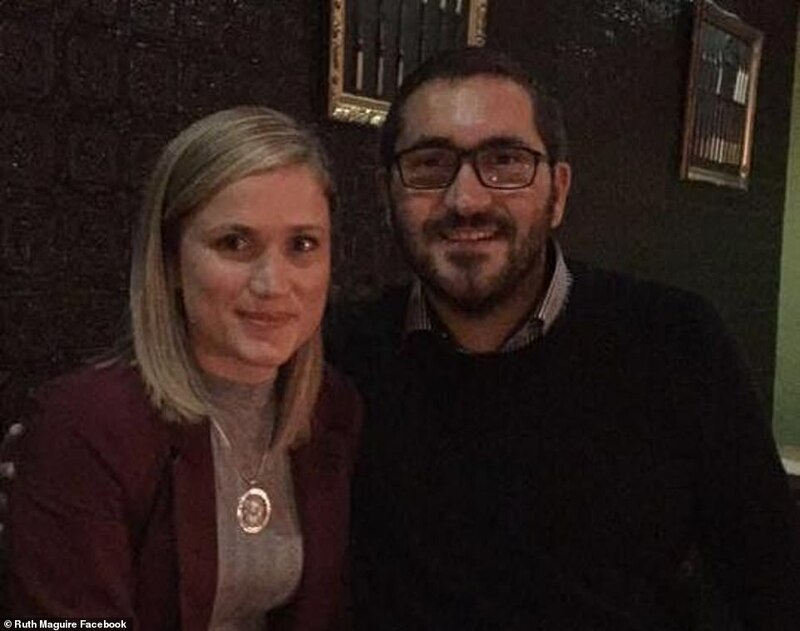 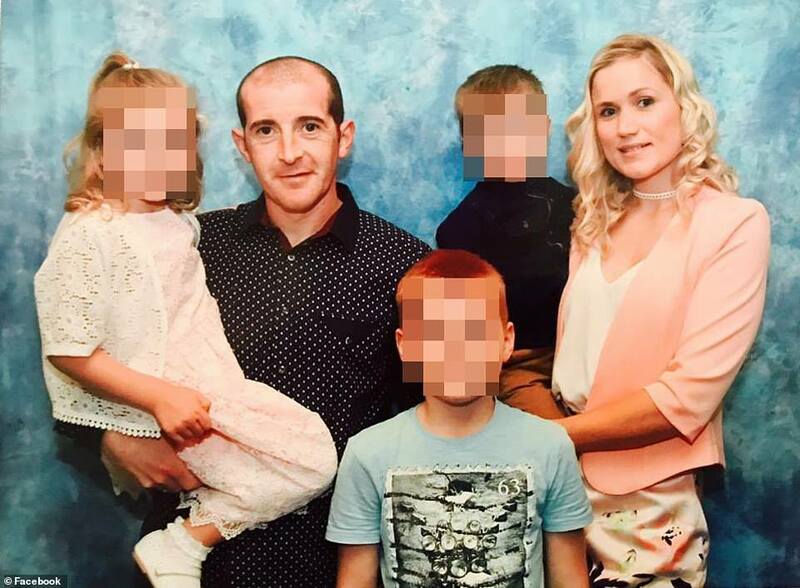 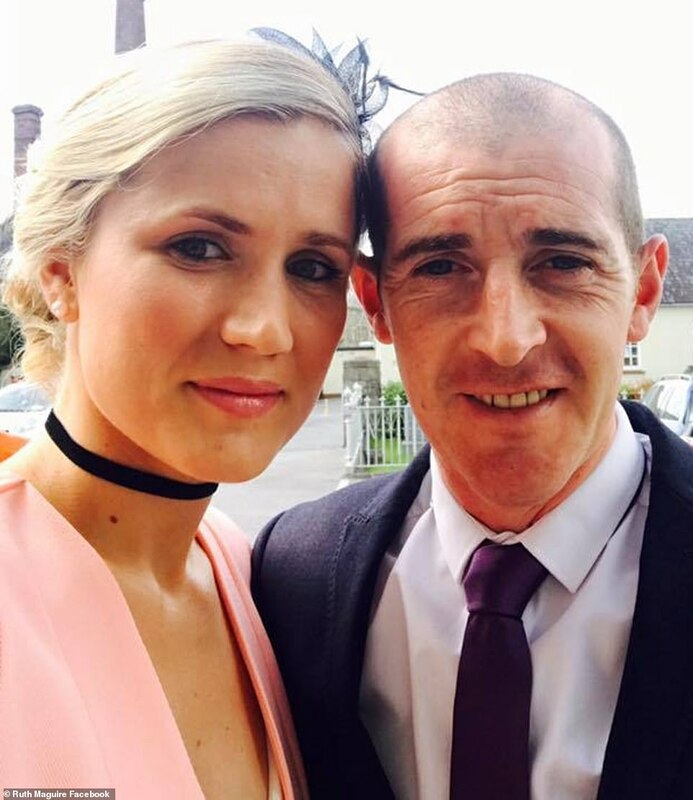 She is believed to have fallen into Carlingford Lough in County Louth shortly after midnight last Saturday when she became separated from her friends after leaving Taaffe’s Bar. 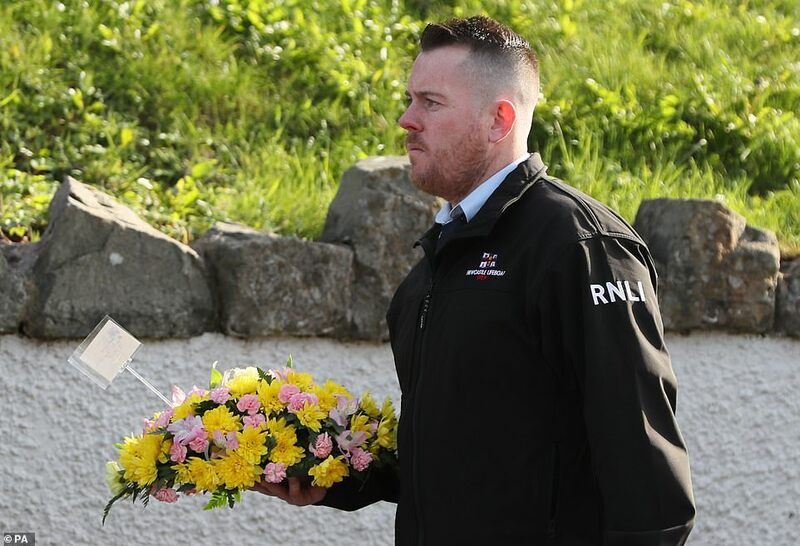 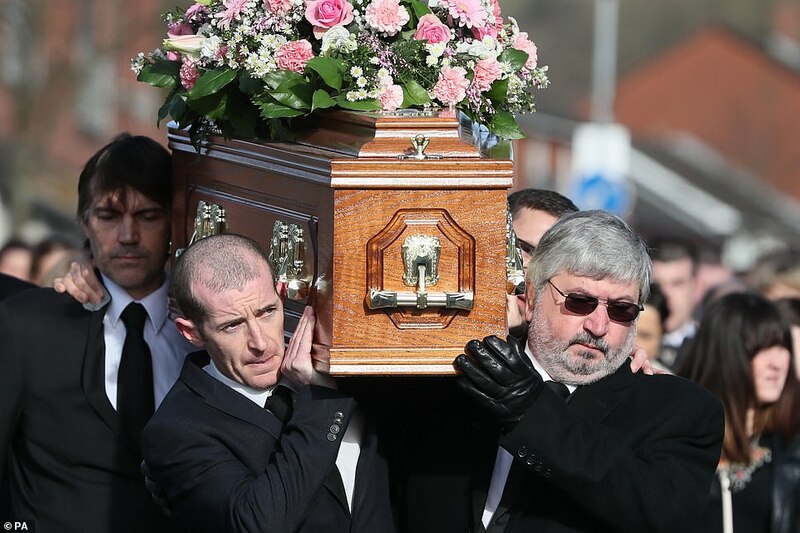 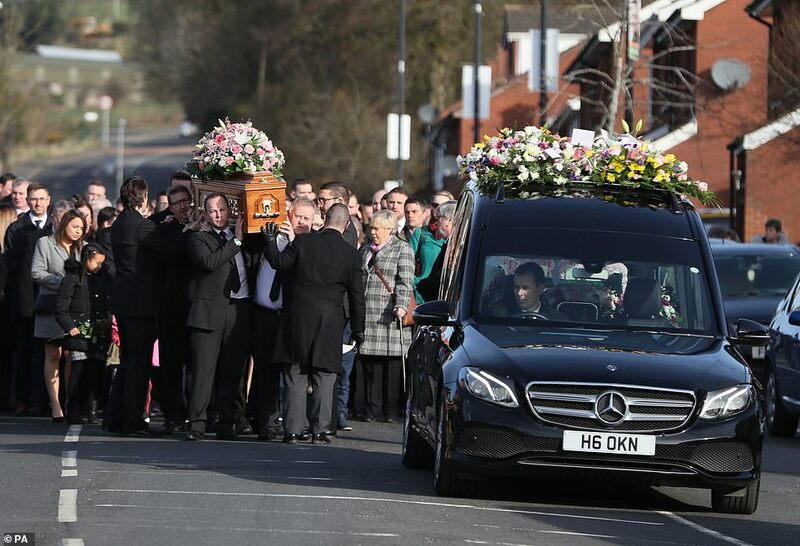 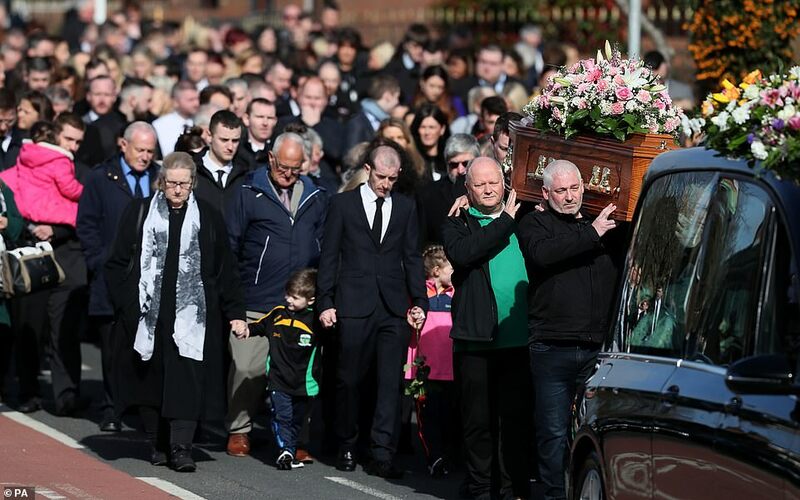 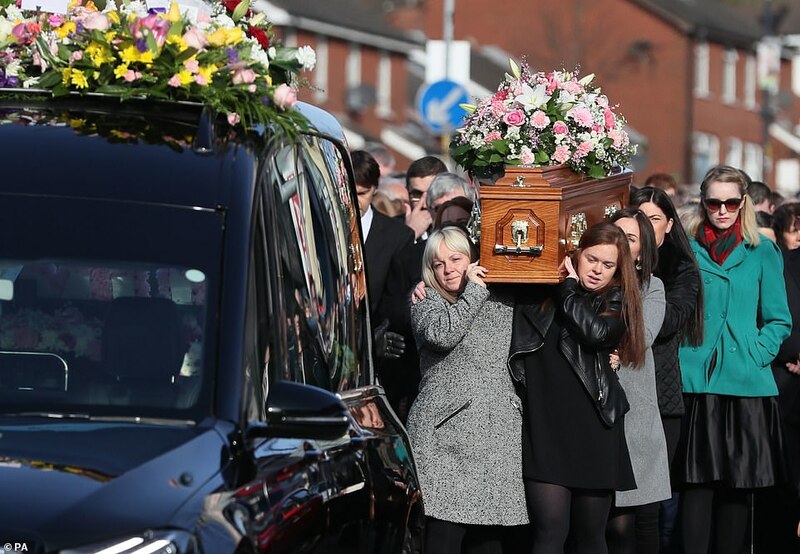 Ms Maguire’s coffin, covered in flowers, was carried by her partner James Griffin and followed by her three children – Tyler, Lydia and Oliver – who were joined by hundreds of tearful mourners at the service held in St Vincent de Paul Church in Ligoniel, north Belfast. 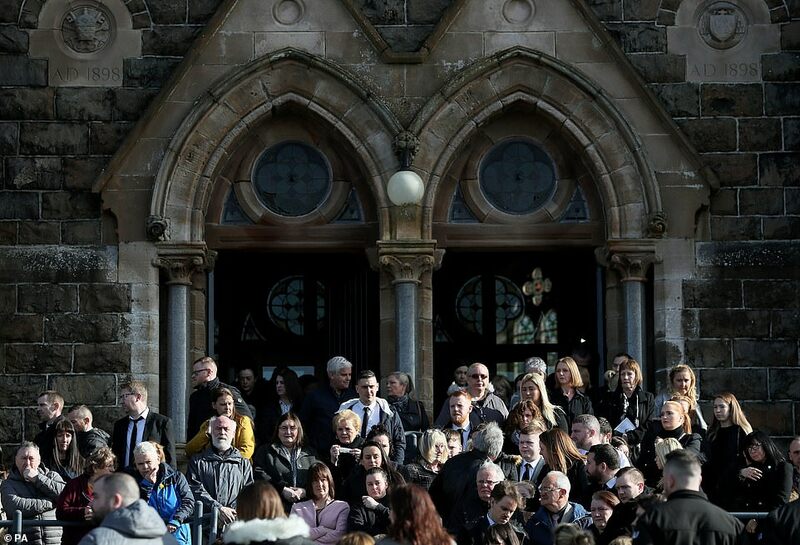 A guard of honour made up of children and adults from Ms Maguire’s local GAA club, Bryansford GAC in Newcastle, County Down, Northern Ireland where she volunteered as a coach, stood outside the church. 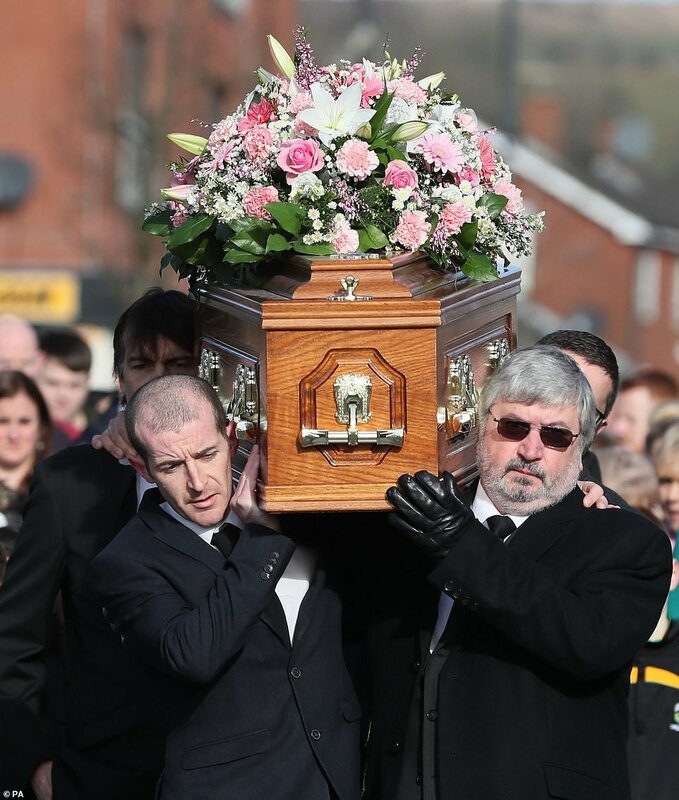 Despite being the baby of the family, she was ‘the boss’ who looked out for her sisters and brothers. 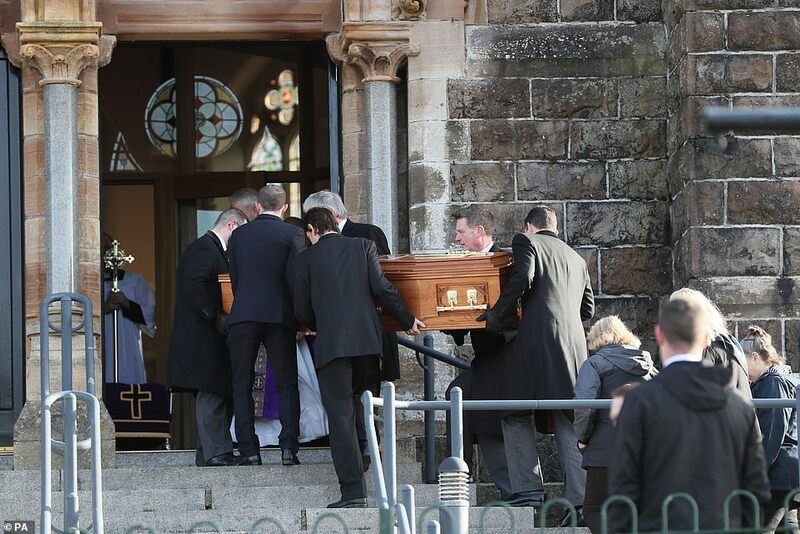 ‘May she meet you Jim in God’s kingdom, dressed in dazzling white,’ the priest added.